Ticket prices are $15 for adults, $10 for kids under 12, first weekend only--all tickets $10.00. The history of Santa Paula and the Santa Clara River Valley comes alive at the Santa Paula Ghostwalk, now in its 24th year. Presented by the Agriculture Museum, the Ghostwalk is a walking theater experience featuring stories of long ago performed by Santa Paula Theatre Group actors in historical costume at historical locations along a tour group path. The tour starts at the Ag Museum located at 926 Railroad Avenue, Santa Paula. First tour is at 6 p.m. with tours following every 20 minutes. Last tour is at 9 p.m. Ticket prices are $15 for adults, $10 for kids under 12. Available dates include Oct. 12, 13, 14, Oct. 19, 20, 21, Oct. 26, 27, 28. 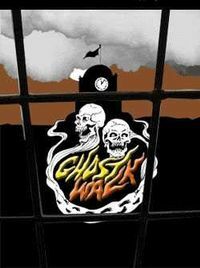 Tickets are available for purchase beginning Oct. 1 at www.ghostwalk.com. First weekend only--all tickets $10.00.